Discover this new voyage between Ushuaia, located in the mythical Tierra del Fuego and commonly regarded as the southernmost city in the world, and Cape Town, South Africa at the entrance gate of the Cape of Good Hope. 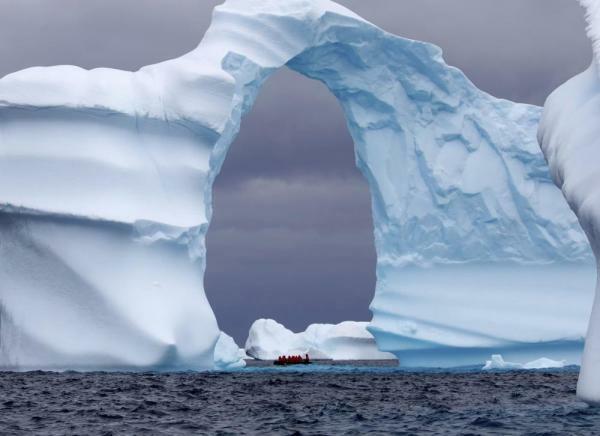 Embark on a 22-day expedition cruise, including the Falkland Islands and South Georgia, a sub-Antarctic region formed by a chain of underwater mountains. 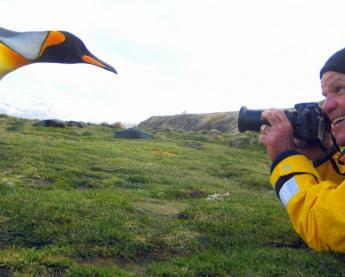 These places of adventures are home to a rich and fascinating wildlife including king penguins, humpback whales, elephant seals, and fur seals. Discover three of the most isolated islands in the world: Tristan da Cunha, a volcanic and mountainous land remarkable for its 2,000-meter peak; Gough Island, home to one of the world’s largest seabird colonies and listed as a UNESCO World Heritage site; and Nightingale Island, a refuge for many penguins. Fly from Buenos Aires to Ushuaia, Argentina. Transfer directly on board or transfer to Arakur Resort, located inside Cerro Alarken Natural Reserve. Enjoy time at leisure, lunch, and/or an optional excursion to Tierra del Fuego National Park prior to a late afternoon embarkation on Le Lyrial. During your day at sea, make the most of the many services and activities on board. Treat yourself to a moment of relaxation in the spa or stay in shape in the fitness centre. Depending on the season, let yourself be tempted by the swimming pool or a spot of sunbathing. This day without a port of call is an opportunity to enjoy the conferences or shows proposed on board, to do some shopping in the boutique or to meet the photographers in their dedicated space. As for lovers of the open sea, they are able to visit the ship’s upper deck to admire the spectacle of the waves and perhaps be lucky enough to observer marine species. A truly enchanted interlude, combining comfort, rest and entertainment. The Falkland Islands are an archipelago lost at the tip of the South American continent. 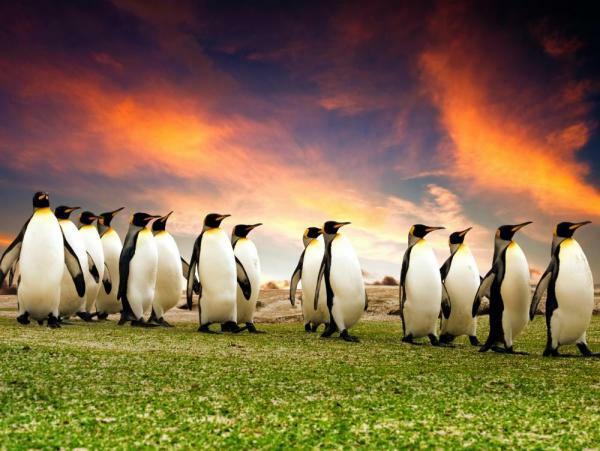 They are composed of over 700 islets and two main islands, East Falkland and West Falkland, both declared nature reserves. As Le Soleal finds its way towards New Island, lying in the west of the archipelago, the coastlines, carved by the wind and sea, form numerous isolated inlets with beaches of golden sand. These faraway lands, which once attracted seal and whale hunters, have become the last sanctuary of the elegant black-browed albatross, which glides gracefully through the air against the blue sky, while southern rockhopper penguins and elephant seals bask on the shore. Later today make your way through the turbulent Woolly Gut Strait and emerge in the stillness of Grave Cove. Located in the northern edge of the Falkland Islands, this bay owes its name to the vestiges of whalers’ graves that overlook the beach. As you step off the boat and onto the white-sand beach, you might find yourself escorted by a few hospitable Commerson's dolphins, elegantly adorned in black and white. A stroll along the grassy dunes leads you to a vast plain of lush green grass, tended by a few sheep. On the other side of the island find one of the largest gentoo penguin colonies in the area. With some luck, also glimpse a sea lion scouring the waves for his next meal. If one island of the Falklands calls for use of superlatives, it would undoubtedly be Steeple Jason. Located at the extreme northwest corner of the Falklands, the island is home to the largest black-browed albatross colony in the world. Be rapt at the sight of these magnificent birds with black-contoured eyes. Photographers delight in immortalizing the endless ballet of the albatross, who soars majestically and then alights awkwardly amidst nests. Caracaras, gentoo penguins, and Magellanic penguins are also abundantly present, as if to prove to the visitor that here nature is king. The Neck is a narrow stretch of land connecting the two sides of Saunders Island, located on the northwestern edge of the Falklands. Safely enter these blustery surroundings with the assistance of your naturalist guides. Once there, a reward awaits you: a veritable paradise of endless shoreline lapped by turquoise waters. Several bird species, also attracted to this stunning location, have settled here. At the other end of The Neck, encounter Magellanic penguins, southern rockhopper penguins, black-browed albatross, and king penguins, all basking in the beauty of their surroundings. Enjoy the luxury and amenities aboard Le Lyrial. Experienced naturalist guides share their knowledge about the flora and fauna of the unique region. Aboard your ship, discover South Georgia, a region formed by an underwater mountain chain that extends from the Andes to the Antarctic Peninsula. 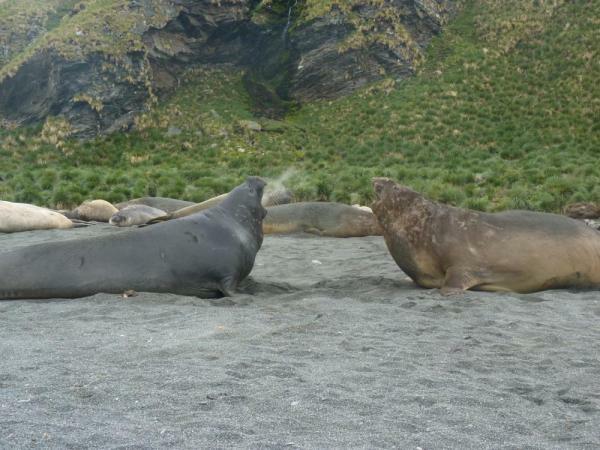 All the wildlife of the Far South can be found there: king and Gentoo penguins, elephant seals, fur seals… You might get the chance to discover the majestic glaciers of Gold Harbour and the vast plains of Fortuna Bay. If you are fortunate enough to land at Salisbury Plain, you can expect a wonderful spectacle: more than 300,000 king penguins, which you can recognize by the bright orange mark on their head and neck, have taken up residence there. 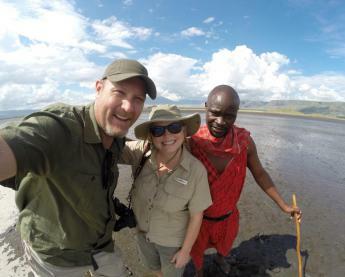 Share photos and stories with fellow travelers as Le Lyrial continues across the South Atlantic Ocean. A small British archipelago discovered in the 16th century by the Portuguese sailor after whom it was named, Tristan da Cunha is made up of several islands scattered off the South African coast. Most of these are listed as UNESCO World Heritage Sites. During your cruise aboard Le Lyrial, discover the archipelago's eponymous main island, offering visitors basalt land lulled by the swell, home to the only village in the chain of islands, and topped with a volcano. The second largest of the Tristan da Cunha Islands, the volcanic Gough Island is one of the least disrupted island and marine ecosytems in the cool temperate zone. 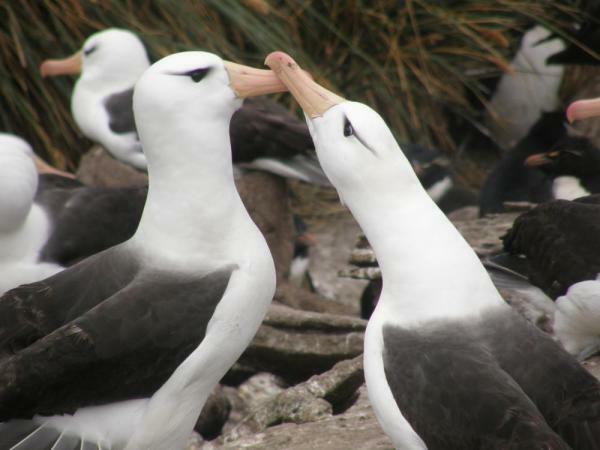 The spectacular cliffs of Gough Island host some of the most important sea bird colonies in the world. The island's undisturbed nature makes it particularly valuable for biological research. Gough Island became a UNESCO World Heritage Site in 1995. Making its way toward the final destination, Le Lyrial cruises to the southernmost tip of the African continent. Battered by the waves of the Indian and Atlantic oceans, the Cape of Good Hope is considered to be one of the most inspiring locations in the world. Paradise for many marine animals, today it is one of the three headlands that dominate the Table Mountain National Park, a vast green expanse stretching out over 7,000 kilometers. From the ship, admire the spectacle of clear waters crashing against the tall, steep cliffs and relive the excitement of the sailors of old. Located at the southern tip of the African continent, the Cape of Good Hope was originally dubbed the Cape of Storms by Portuguese explorer Bartolomeu Dias, due to its position at the confluence of two opposing ocean currents. 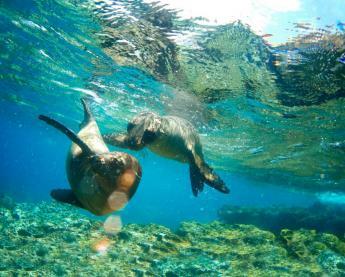 One of the most iconic sites on the planet, the area is a veritable paradise for a number of marine animal species. 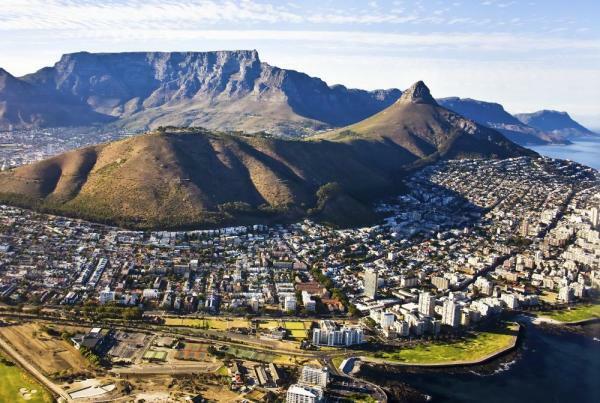 The cape is one of three promontories offering a breathtaking view onto Table Mountain National Park, a stunning 7,000 km2 stretch of greenery. From your ship, take in the impressive scene of clear ocean waves crashing against steep, towering cliffs. Dynamic and peaceful, cosmopolitan and hip, Cape Town offers its visitors a most unique mix. Here, the locals like to say that their city is “the quintessential melting pot of South Africa”. Located in the heart of one of the most beautiful bays in the world and dominated by the famous Table Mountain, it is graced with extraordinary landscapes including sheer cliffs that plunge into the Atlantic Ocean and vast whitesand beaches. Discover this incredible city, the South African capital of fashion, the art of living, and gastronomy. Further on, the Cape of Good Hope Nature Reserve awaits you and is home to a wide variety of endemic fauna and flora. Following breakfast on board, disembark in Cape Town and transfer to the airport for your homeward journey.